The Monza circuit, near Milan. 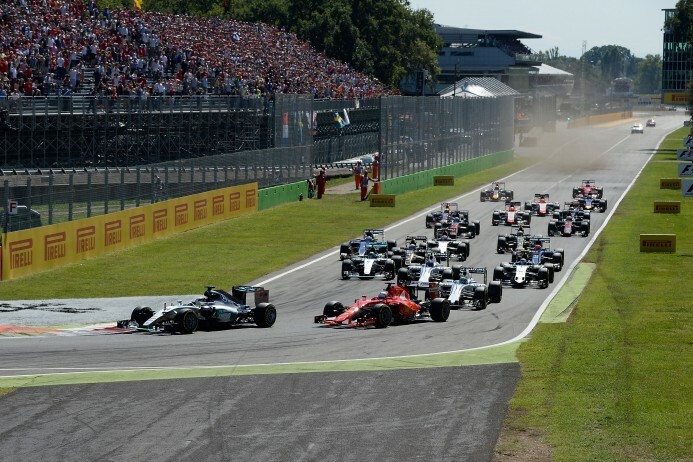 The Italian Formula one, F1 Grand prix is the fourteenth race in the 2016 Formula one, F1 season in Monza at the Autodromo Nazionale Monza on the 04th September 2016. Every Formula One Italian Grand Prix since 1950 has been held at Monza except in 1980, when it was held at Imola. The Italian Grand Prix counted toward the European Championship from 1935 to 1938. It was designated the European Grand Prix seven times between 1923 and 1967, when this title was an honorary designation given each year to one grand prix race in Europe. In 1979, it was announced that the Autodromo Dino Ferrari, also known as Imola, would host the Italian Grand Prix for 1980 while Monza underwent a major upgrade, including building a new pit complex. The Imola circuit had been used for a non-championship event in 1979, and this running of the Italian GP was won by Nelson Piquet. The Italian Grand Prix returned to Monza for 1981, and it has stayed there ever since. The Imola circuit was not to leave Formula One, it hosted the San Marino Grand Prix from 1981 to 2006. The 1981 Italian Grand Prix was won by rising star Alain Prost, and that race saw Briton John Watson have a huge accident at the second Lesmo Curve which also took out Italian Michele Alboreto. Watson was uninjured in his carbon-fibre McLaren. 1982 was won by Prost’s teammate Rene Arnoux; and Prost also won the exciting 1985 event, this time driving a McLaren. Prost’s championship rivals Alboreto (now driving a Ferrari) and Finn Keke Rosberg in a Williams both retired. 1988 saw a memorable win; as McLaren had won every race up to the Italian Grand Prix; Prost had gone out with engine problems and his teammate Ayrton Senna had crashed into a backmarker with two laps to go- and Austrian Gerhard Berger in a Ferrari took victory, followed by Alboreto to make it a Ferrari 1-2. This was particularly memorable because Enzo Ferrari had died a month before this event. 1989 saw Prost win after the Honda engine in Senna’s McLaren expired; but Senna took victory the following year. 1991 saw a battle between Senna and the two Williams drivers of Nigel Mansell and Riccardo Patrese. Mansell won, Senna finished 2nd and Patrese went out with gearbox problems. Senna won again in 1992, and 1993 saw Williams drivers Alain Prost and Damon Hill battle hard, and while leading, Prost’s engine failed and Hill went on to take victory. In response to the Imola tragedies in 1994, the second Lesmo curve was slowed down. 1996 saw Michael Schumacher win for Ferrari, and 1999 saw championship leader Mika Hakkinen crash and the Finn, false to temperament, went behind a few bushes in the circuit and broke down crying. 2000 saw further changes to the circuit, which have stayed since. The Variante Rettifilo was made into a two corner sequence instead of a three corner sequence. The race that year started off tragically, as an accident during the start at the Variante della Roggia resulted in a marshal being struck in the head and chest by a loose wheel from German Heinz-Harald Frentzen’s Jordan. 33-year-old Paolo Gislimberti was given a heart massage at the scene, but later died from his injuries. On a more positive note, the decade also started off with a romp of Ferrari victories, winning in 2000 and 2002-2004. The 2002 race saw the fastest ever qualifying lap, set by Juan Pablo Montoya in a Williams at 259.827 km/h. After winning the 2006 Italian Grand Prix, Michael Schumacher announced his retirement from Formula 1 racing at the end of the 2006 season. Kimi Räikkönen replaced him at Ferrari from the start of the 2007 season. At the 2008 Italian Grand Prix, Sebastian Vettel became the youngest driver in history to win a Formula One Grand Prix. Aged 21 years and 74 days, Vettel broke the record set by Fernando Alonso at the 2003 Hungarian Grand Prix by 317 days as he won in wet conditions at Monza. Vettel led for the majority of the Grand Prix and crossed the finish line 12.5 seconds ahead of McLaren’s Heikki Kovalainen. Earlier in the weekend, he had already become the youngest polesitter, after setting the fastest times in both Q2 and Q3 qualifying stages. His win also gave him the record of youngest podium-finisher. Vettel also won in 2011, after a spectacular pass at the Curva Grande, passing Fernando Alonso on the outside of the big, long curve. Uncertainty grew over the fact that Monza would continue to host the race as Rome had signed a deal to host Formula One from 2012. On 18 March 2010 however, Bernie Ecclestone and the Monza track managers signed a deal which meant that the race will be held there until at least 2016. A total of twelve Italian drivers have won the Italian Grand Prix; ten before World War II and three when it was part of the Formula One world championship. Alberto Ascari won the race three times (once before Formula One and twice during the Formula One championship). Elio de Angelis and Riccardo Patrese both won the San Marino Grand Prix in 1985 and 1990, which was held not in the small principlaity, but at Imola near Bologna in Italy. Michael Schumacher has won it 5 times and Nelson Piquet won 4 times. Ferrari has won their home Grand Prix 19 times. The Autodromo Nazionale Monza circuit lies 20 kilometres away from Milan Linate airport (LIML / LIN). The journey time by car is around 30 minutes subject to traffic. A helicopter transfer from Milan airport will land you at the Monza circuit in under 10 minutes. Arranging a private jet charter or helicopter transfer with Freedom Air to arrive in style to the Italian Formula one (F1) grand prix in Monza is simple. The Freedom Air team can be reached on: +44 (0) 1275 548001 and charters@flyfreedomair.com to book your next trip.